Installed fresh 18.04 LTS. Everything works fine except the touchpad. Thinkpad has touchpad buttons above it and they work fine, but the buttons under touchpad at the bottom only work as one left click. There is no option in settings to change that, it did work on Fedora 27 though. Is there anything I can change to add this funcionality? I tried THIS Touchpad right click doesn't work on touchpad, only the buttons above it. Thinkpad E480 Ubuntu 18.04 LTS, but had no success. Also, i tried to do same with gnome tweaks, but that didn't help aswell. Is there anything else i can do? 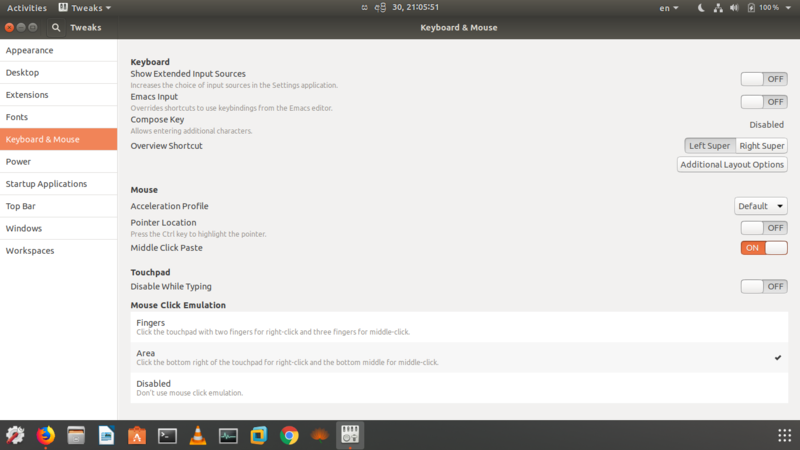 Install and open gnome-tweak and go to Keybord & Mouse >>> mouse click emulation and just click on Area and close the window.